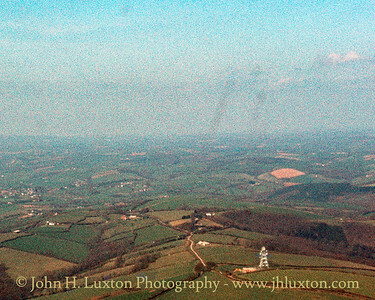 On a flight of fancy back in April 1984 I hired a plane and pilot from the Exeter Flying Club at Exeter Airport to do some aerial photography this is the collection of photographs I took that day. 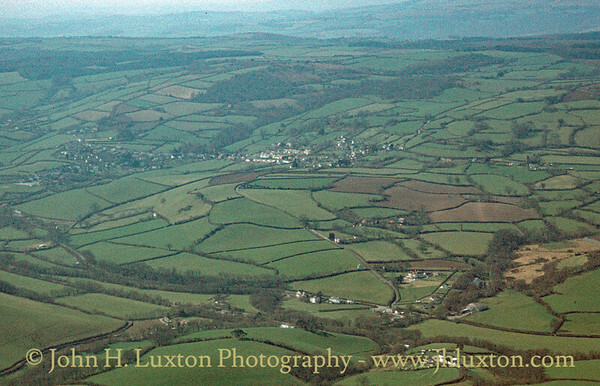 For some years our family had stayed at the Red Lion Inn at Tedburn St. Mary and it appeared appropriate to ask to be flown out to the village, the plane to circle a couple of times and then head back to Exeter Airport via the Teign Valley. 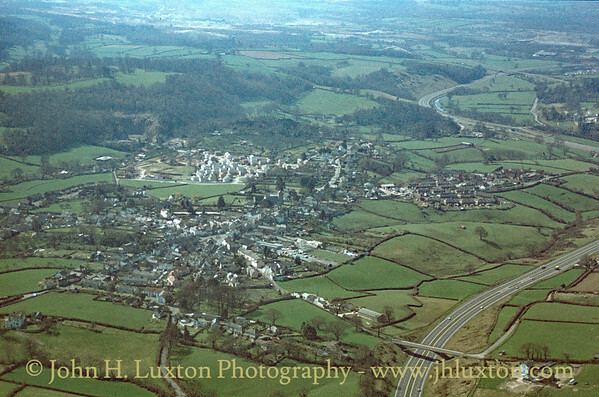 Today, with the availability of Google Earth Satellite imagery such views are quite common place whithout having to take to the skies but over 30 years the only way to appreciate the landscape from above ground level was to take to the skies in a low flying light aircraft. 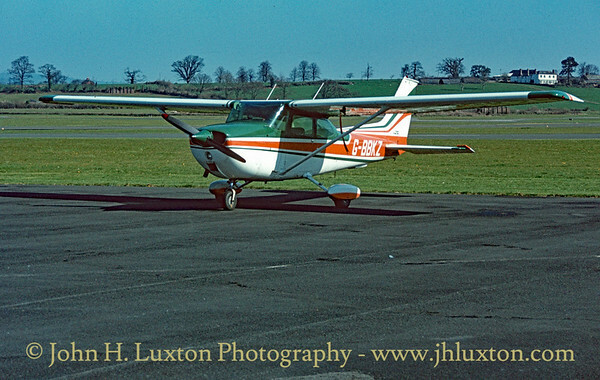 This 1973 built Cessna 172M Skyhawk was being used by Exeter Flying Club to offer pleasure flights and photographic charters. As of the time of writing (November 2016) this aircraft is still operational despite it having been reported as being involved in a couple of "prangs" during its life since I flew in it. 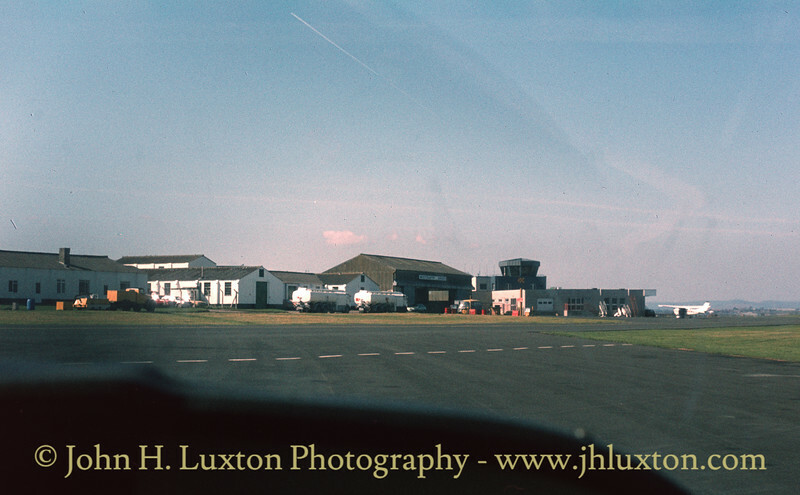 Exeter Airport viewed from the aircraft. 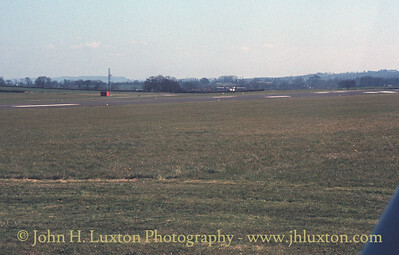 Taxiing to the main runway a light aircraft can be seen landing. 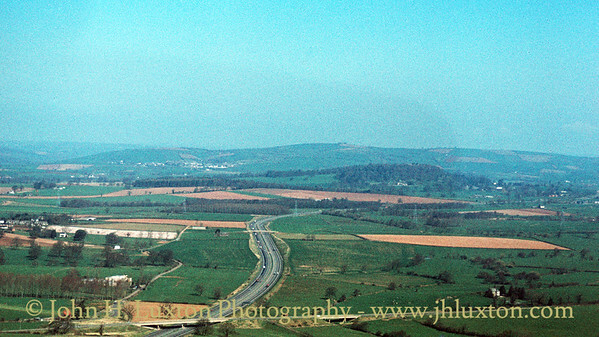 M5 Motorway seen from near the bridge over the B3181 between West Clyst and Dog Village. A down HST can be seen approaching Cowley Bridge Junction. A down HST has just passed Cowley Bridge Junction on the approach to Exeter St. Davids. 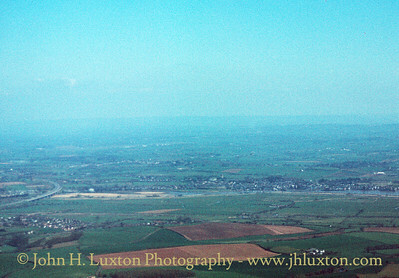 The Whitstone BT Transmitter Tower can be seen as we headed west towards Tedburn St. Mary. 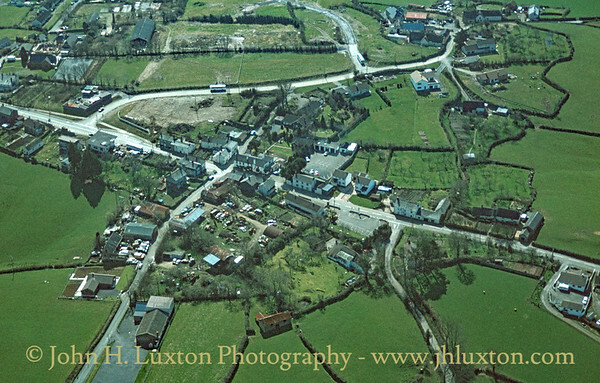 Approaching Tedburn St Mary - this was a period when the size of the village was being expanded considerably with many new houses already erected and roads being laid out for future development as can be seen here. 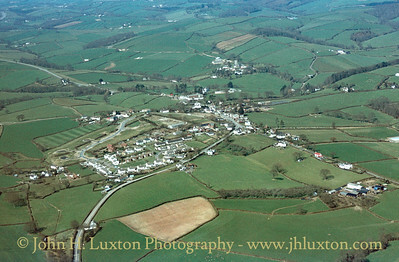 Lower Uppacott Farm can be seen lower right - this used to produce excellent local cider. Fry's Garage a well know landmark in Tedburn St Mary can be seen towards the lower centre of the photograph, as can be the new North Park Road cut through a former orchard to provide a link with the Dunsford Road. The King's Arms Hotel and Red Lion Inn can be seen towards the right of the picture. North Park Road can be seen leading to its junction with the former A30 near Fry's Garage. The Red Lion Inn can be seen towards the left of the picture facing the road with the car park of the King's Arms Hotel clearly visible. 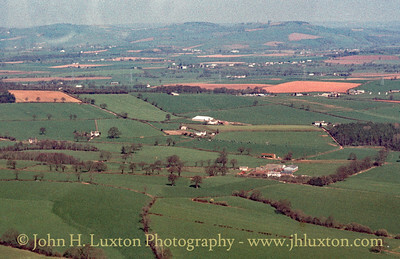 Great Uppacott Farm can be seen near the bottom of the photograph. 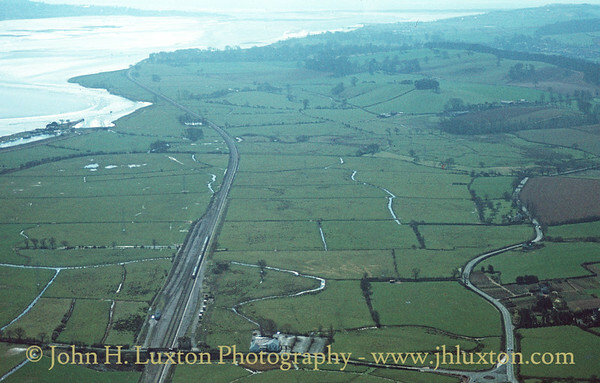 A view along the former A30 towards Exeter. In the lower area of the photograph on the left can be seen the agricultural implement dealers premises of Jewell's. - Now Hi-Line Services. Opposite is William's Garage which by this date was closed. 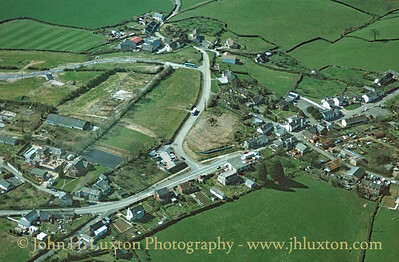 The Red Lion Inn can be seen to the left of the former A30 in the centre of the photograph. A little further to the north is the King's Arms Inn. 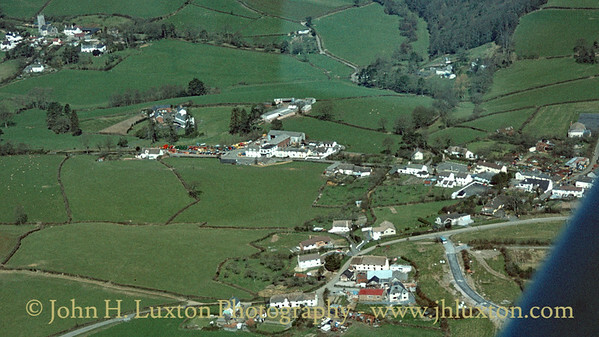 Tedburn St Mary Village hall can be seen bottom left the yard of Fry's Agricultural Merchants can be seen behind the Red Lion inn which is in the centre of the photograph. At this time I had often spent my holidays at the Red Lion which used to provide accommodation. One of Tedburn Coaches vehicles can be seen parked on North Park Road. Tedburn St Mary looking north - top left is the Parish Church at Town Barton. 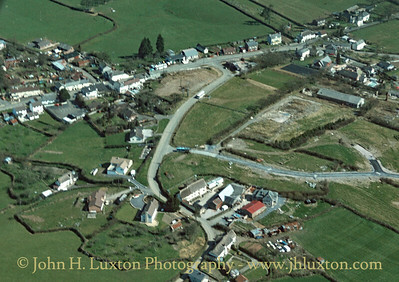 Until the early 20th Century the settlement along the former A30 Road was shown as "Taphouse" with the name Tedburn St Mary being reserved for the settlement around Town Barton. 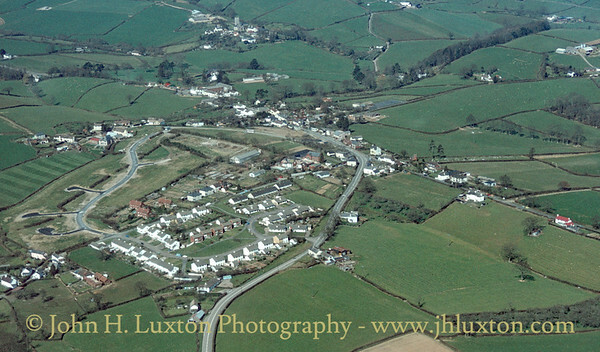 The name "Taphouse" referred to an Inn at the junction of the Crediton and Exeter Roads. 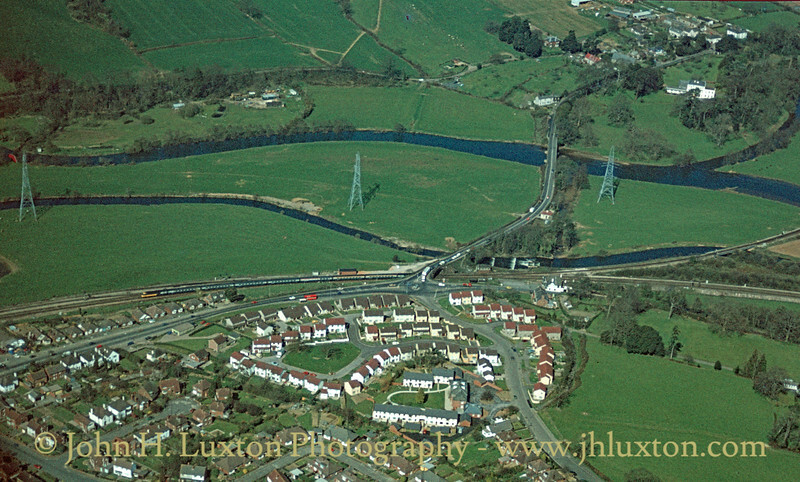 A view over the new housing development including the new Southway, Fulford Close and Dinnis Close which have yet to have any houses erected beside them. 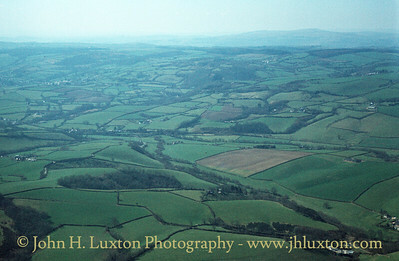 The densely wooded Teign Gorge in the vicinity of Fingle Bridge can be seen to the right middle distance whilst the Dartmoor massif can be seen on the skyline. 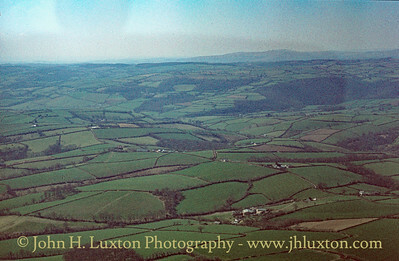 As the aircraft turned away from Tedburn St Mary this view looks in the direction of Dartmoor the upland area can be seen in the distance. 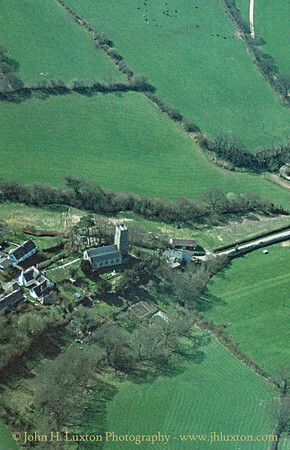 The Teign House in the Teign Valley in can be made out beside the B3193 towards the lower right of the image with Foxhole Road leading up to Christow Village. St. Mary's Parish Church - Tedburn St. Mary. 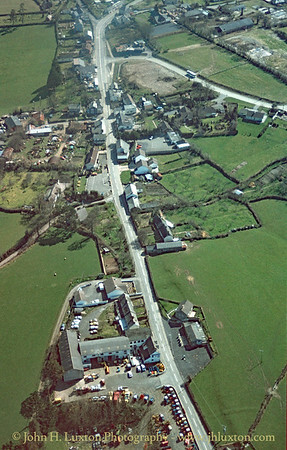 This area is also known as Town Barton and was the heart of Tedburn until the village incorporated "Taphouse" the nearby settlement on the former A30 road in the early 20th Century. 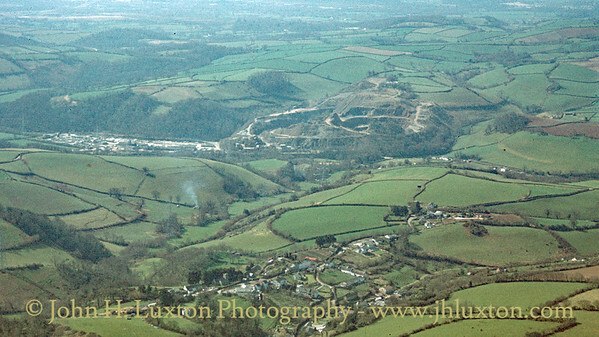 Trusham Village can be seen in the foreground with Trusham Quarry in the Teign Valley in the middle distance. 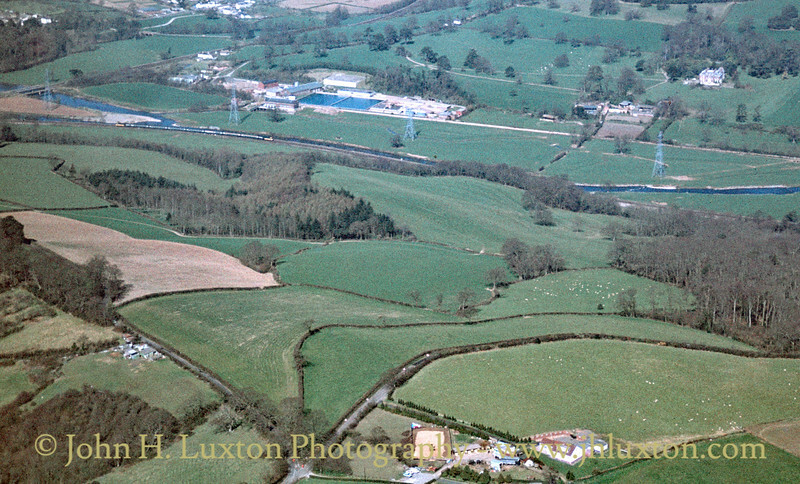 An aerial view of the Exminster Station site through which an up HST can be seen passing. The station closed for passenger traffic on 30 March 1964 and for goods on 4 December 1967, although only coal traffic had been handled for the previous 27 months. The refuge sidings had already been removed by then, and the loop sidings behind the down platform converted to dead-ends. They continued to see occasional use until 1985. The signal box was closed on 14 November 1986 but remained in situ until September 2006 but has now been removed for preservation to Broadway, Worcestershire. The 1852 station building still survives.